Entire home plans custom designed from initial concept of floor plans and elevations to completed design of full finished plans. New front elevations and/or enhanced elevations for other outsourced floor plans, i.e. floor plans provided by a builder looking for a better elevation and or various elevations to coincide with the floor plan. Design Consulting & Tweaking of existing plans to see the best options to modify an existing plan, so it’s more customized for the new home owner. “Face Lifts” for existing homes looking for some added curb appeal. Full Additions and/or minimal to extensive interior renovations. Consulting with Realtor’s and client to review a home prior to purchase, to determine design possibilities for a renovation. “Architectural Streetscape” planning and consulting for the overall feel and curb appeal of a neighborhood or development. Preliminary Planning for development to study and review as for the best intended use of un-developed land for the general scope of home types, i.e. single family, multi-family or mixed use developments. Full review and consulting of plans submitted to a neighborhood or community for construction. 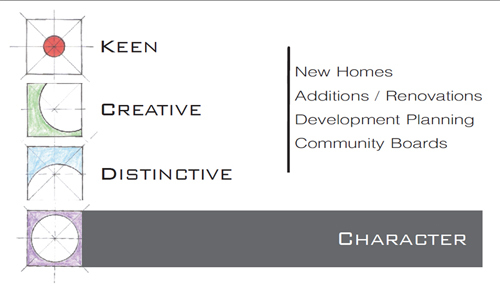 I’m Currently Chief of Review for Cambridge Downs, Carolina Close, Richland Woods, Stockett Creek and Tuscany Hills. Other options for A.R.C./B. or Historical Review and/or Preservation Committee/Board, is to be involved as member to consult with the committee/Board and general public. Though I don’t employ a staff, I include my CAD Tech Draftsman of several years whom I rely on for working with me to complete the required and important details for construction building plans. If you are a Builder or Developer and you employ or contract a CAD Tech Draftsman, I’m more than willing to work with them and anyone in your group to complete the plans. I work with a Structural Engineer, Civil Engineer and Surveyors, I can pull together to expand services and consult. I have great relationships with some of Nashville’s most talented Interior Designers. For more information and details regarding Residential Design Services, more specific plan requests from my portfolio, or an extensive list of references, please contact me via email: champwebb@hotmail.com or call 615.456.2864.